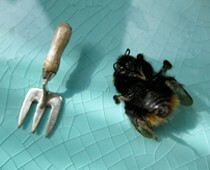 Artist Peter von Tiesenhausen’s story began in 2003 and continues…. This is an extract from an article in the Daily Kos from May 2014. 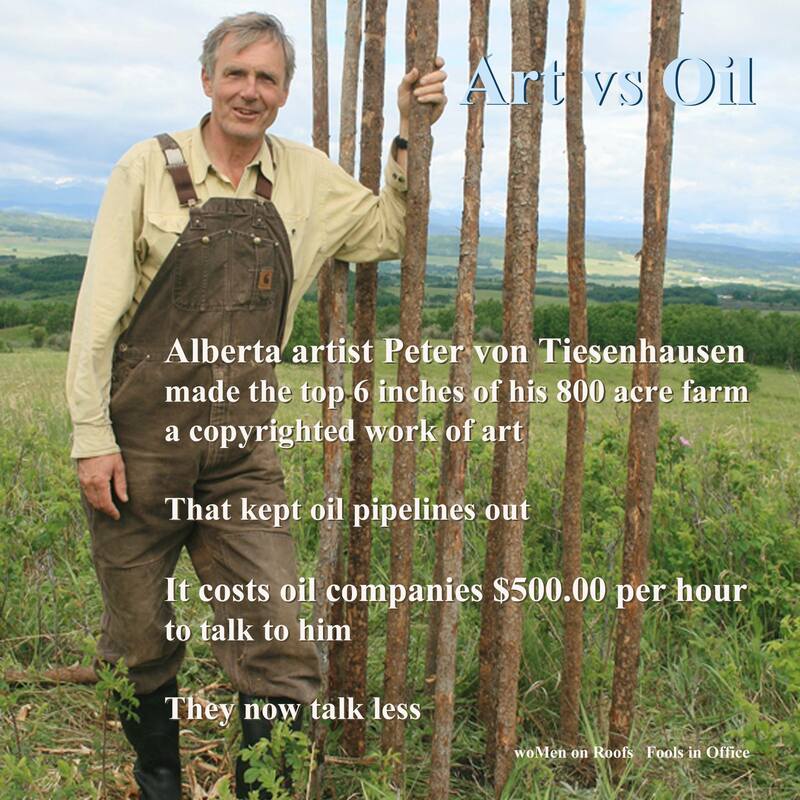 “Alberta artist, Peter von Tiesenhausen, has effectively stopped oil corporations from putting a pipeline through his 800 acre property by covering it with artwork and copyrighting the top six inches of his land as an artwork. The oil corporations had been eager to get their pipeline through his land to get “their” natural gas. The spread von Tiesenhausen inherited from his parents, a former family farm 80 kilometres west of Grande Prairie, sits atop a natural gas hot spot known as the “deep basin.” Industry has been in aggressive growth mode in the area since Calgarian Jim Gray’s Canadian Hunter Exploration (now part of Burlington Resources, soon to merge with ConocoPhillips) discovered rich geological formations in the early 1970s. Von Tiesenausen decided to talk to them in their own language: Money. The copyright claim makes his entire property a work of art since he has covered it with visual art scupltures including “a 33-metre-long ship sculpted with willow stalks, winter ice forms, nest-like structures in trees, statuesque towers and a “lifeline” or visual autobiography composed as a white picket fence built in annual sections left to weather naturally”. The copyright also drastically increases the remuneration of around $200 for lost crops to around $600,000 for an ” artistic property disturbance”. This post came via a facebook feed and I haven’t stopped thinking about it. There is a brilliant thing here: an idea so insightful, coherent and astute that it solves a huge problem by deftly maneuvering complexities into a sweet and energetic opportunity – that’s a thing in the world. This story / artwork is already ten years old – and I’ve only just heard about it. Hurrah for Peter, for Art.